Blog > Cannabis Education > Medical Conditions > Can Cannabis Clear Up Glaucoma & Restore Your Sight? Can Cannabis Clear Up Glaucoma & Restore Your Sight? The onset of glaucoma can creep up on you, slowly taking a toll on your vision. It’ll often go undetected at first and, with slow onset, can go unnoticed until you start having dramatic changes in eyesight. To keep from experiencing a complete loss of vision, you’ll need to see a doctor who can work with you to find the direct cause and assist you with repairing and/or preventing damage while maintaining your sight. But if you’re weary about taking the traditional doctor’s route or just curious about alternatives, maybe medical cannabis is the method for you. Glaucoma is a group of conditions causing damage to the eye’s optic nerve, connecting your eye to your brain. When the optic nerve is damaged, the impulses sent to the brain from the retina at the back of the eye are disrupted, causing an altercation between what you actually see and the images transmitted to your brain. It develops gradually over time and can go completely unnoticed until it reaches an advanced stage, so you should regularly see an eye doctor to prevent any further damage. If not taken care of, glaucoma can cause vision loss or even blindness. 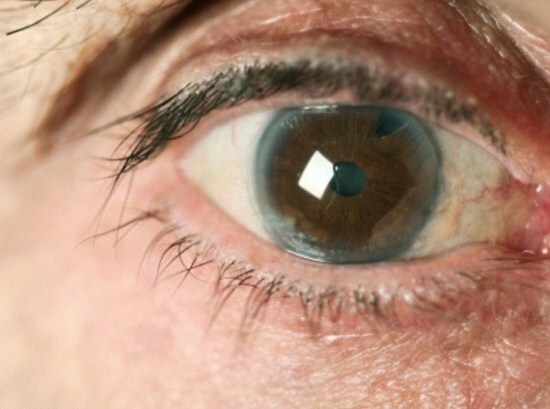 Usually, glaucoma is genetic and signs rarely appear until later in life. It can also be the result of an eye injury or poor blood flow. Elevated eye pressure is the main cause. There’s a small space located at the front of the eye called the anterior chamber. A clear liquid called aqueous humor continuously flows through this chamber, keeping your eye nourished and healthy. When disrupted, the fluid doesn’t properly flow from the eye’s internal drain structure, the trabecular meshwork, leading to fluid build-up and elevated intraocular pressure. There are two main types: open-angle glaucoma, or wide-angle glaucoma, and angle-closure glaucoma, aka chronic angle-closure or narrow-angle glaucoma. Classifying it as “open” (wide) or “closed” (narrowed) refers to the chamber’s fluid drainage angle. Open-angle glaucoma is the most common and happens when everything looks fine with the eye’s aqueous humor and drainage system, but the liquid is not flowing through the eye properly. Less frequent angle-closure occurs when the eye doesn’t drain properly because the fluid drainage pathway’s too narrow. This causes a sudden and extreme pressure build-up in your eye and is also linked to farsightedness and cataracts. Glaucoma typically doesn’t show any warning signs or symptoms, and can go unnoticed for years. Most signs include some sort of optical disruption or vision impairment, which can’t be directly linked to glaucoma unless properly examined by an optometrist. 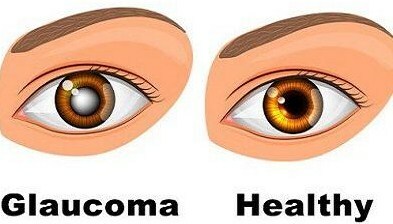 These symptoms can be brief or last a few hours but, if caused by glaucoma, will continue to occur. Blurry or hazy vision: Vision is no longer clear. Crisp, bold objects can become obscured and hard to focus on. The clear surface of your eye may also appear hazy. Rainbow circles/bright lights: A rainbow halo around bright lights and/or light split in different directions indicate/s a problem in the way the eye receives light. Headaches and nausea: The pressure may spread throughout your head, causing an extreme headache. This can be accompanied by nausea, or nausea may occur by itself. Eye pain: Severe hurting within and around the eye. Loss of vision: A progressive loss of sight. When treating glaucoma, the initial goal is to reduce as much pressure on the eye as possible. This will help preserve your vision and prevent any further damage. 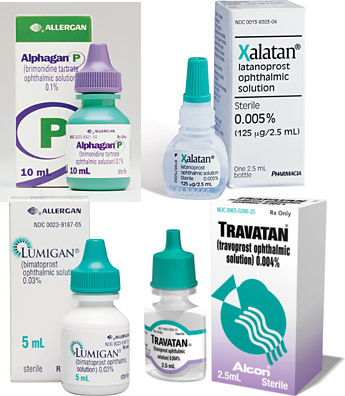 Medications commonly come as eyedrops. Beta-blocker medications slow the eye’s fluid production, and steroids such as timolol work quickly reduce inflammation. Eyedrops containing prostaglandins work to relax the eye muscles, push the iris away from the trabecular meshwork, and open up the interior structure to alleviate extreme eye pressure. Alpha-adrenergic agonists, parasympathomimetics, and carbonic anhydrase inhibitors all work by decreasing the aqueous humor’s production rate. Carbonic anhydrase inhibitors such as Diamox and Neptazane are also available in pill form. Epinephrines decrease the fluid production rate while increasing outflow from the eye itself. If immediate pressure relief of the optic nerve is needed, a you may need to take hyperosmotic agents. These agents are usually only taken in emergency if there’s an immediate risk of eye damage, as they greatly lower the eye’s volume of fluid. Often times, in order to prevent glaucoma from coming back, patients will need surgery. These types of surgery can involve laser treatment (peripheral iridotomy) and/or surgical treatment (surgical iridectomy). Both involves making a small hole in the iris allowing fluid to flow more freely, preventing it from bulging forward and obstructing the eye’s trabecular meshwork. These surgeries can be recommended at the same time, usually with a different type of surgery on each eye to prevent glaucoma from developing in the other eye. Laser surgery usually involves making two small holes in the iris with a laser. These holes are usually unnoticeable after surgery. Surgical treatment makes a small triangular hole in the iris which can be seen after surgery as a small triangle at the edge of the iris. It affects over an estimated 60 million people worldwide. More than 3 million Americans live with glaucoma, with an estimated 2.7 million elderly Americans having open-angle glaucoma. 10% of people who receive proper treatment for glaucoma still lose their vision. There’s no cure for glaucoma. Approximately 1 out of every 10,000 American babies are born with glaucoma. Medical marijuana can help treat glaucoma primarily because of its neuroprotective properties and its ability to reduce intraocular pressure. Even though mmj is effective in lowering pressure, it only does so temporarily, usually lasting three to four hours. 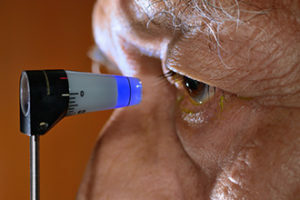 Because glaucoma is a round-the-clock problem, patients must regularly medicate every few hours, possibly impairing them from performing other daily activities. Tetrahydrocannabinol (THC), one of the most prevalent cannabinoids in the plant that’s also known as THC, interacts with the body by lowering blood pressure and, in turn, increasing blood flow to the body’s vital areas and decreasing intraocular pressure. Marijuana also has the ability to protect healthy cells. By protecting the retinal cells and neurons, cannabis can help preserve and maintain eye health while allowing the body to focus on healing itself in other ways. In the 70s’s a famous study conducted published in the International Journal of Pharmacology and Biopharmacology concluded that marijuana leads to increased heart rate and decreased blood pressure. The patients who originally had high blood pressure experienced results that lasted longer, but they ended with cannabis reducing intraocular pressure for three to four hours for all patients. An article published about an analysis on cannabis and glaucoma resulted in the same conclusions as above, but also determined that patients experience relief in intraocular eye pressure 60-90 minutes after inhalation. They recommended that cannabis be used lightly to treat glaucoma, as it also lowers blood pressure and could potentially cause further damage to the body’s optic nerve. A recent study found administering cannabinoid eye drops directly to the eye resulted in decreased intraocular pressure within 30 minutes. It also concluded that the body’s built-in cannabinoid system, mainly CB1, has a direct involvement with the regulation of intraocular pressure. Medical marijuana patients suffering from glaucoma have recommended a variety of strains and treatments for lowering intraocular pressure and alleviating symptoms. These strains contain the lesser-known cannabinoid cannabigerol (CBG), though few strains contain very much of it. 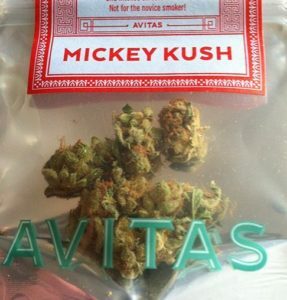 An example of a strain high in CBG is Mickey Kush, a sativa-dominant strain created from Sweet Irish Kush and Jack the Ripper. CBG is in less than 1% of the cannabis plant. However, fairly high amounts of CBG can be extracted from plants when they’re about 3/4ths of the way through flowering. Juicing these sprouts and consuming them every three to four hours makes for the best results. Edibles high in THC and other cannabinoids called cannabidiol (CBD) are also recommended for patients trying to reduce eye pressure. Even though the onset can take longer than smoking or vaping, usually one to two hours, the results can last six to eight. Tinctures can also be taken by themselves or added to foods or drinks. If you need to obtain a recommendation, NuggMD is here to help! Connect with a licensed California doctor who can get you a medical marijuana evaluation from the comfort of your own home. With a proper evaluation, you can visit local dispensaries and obtain products like the ones above, or use Nugg’s mmj delivery platform to have them delivered directly! Relieves pain, nausea, and vomiting associated with glaucoma. Assists with alleviating headaches caused by glaucoma. Minor side effects compared to prescription medications. Protects healthy retinal cells and neurons. Lower blood pressure can lead to optic nerve damage. Inhaling marijuana only lasts about three to four hours, so patients must medicate often. The cardiovascular side effects, among other central nervous system side effects, may concern elderly patients. “One of the benefits of using marijuana is that all the other drugs… make it difficult for us to stay healthy between our livers, kidneys and everything else about us. It takes other pills to take care of everything else. I don’t have to deal with that.” —Elvy M.